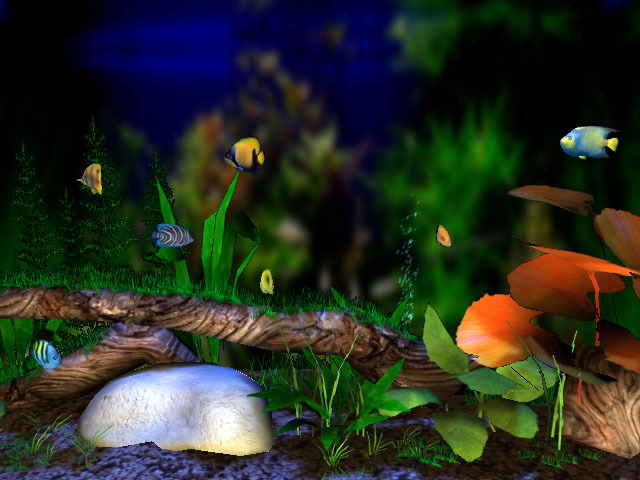 3D Bungalow Aquarium screensaver - the beautiful large aquarium. A cozy room with a hammock, the wind playing with the canopy door, a window overlooking the enchanting sunset over the ocean, a comfy arm-chair and a chilled drink. What else can one ask for? 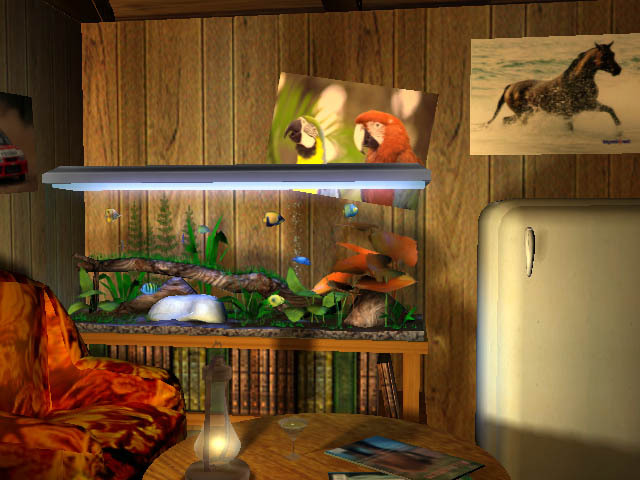 The beautiful large aquarium fits in perfectly in this serene environment. 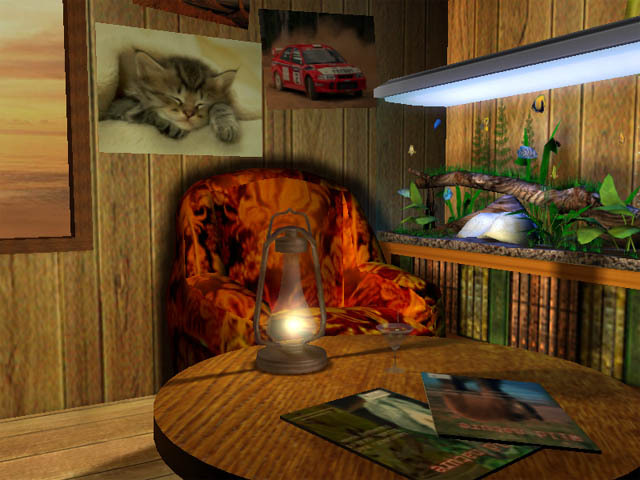 Get teleported to a quiet bungalow on a desert tropical island!